Are you CRAVING ESCAPE? How about CRAVING ESCAPE with a HERO? Dane St. John is a hero to die for, and he escapes to the Upper Peninsula of Michigan every chance he gets to be with the love of his life, Kelly Jackson. ESCAPE by reading their love story in CRAVING a HERO! 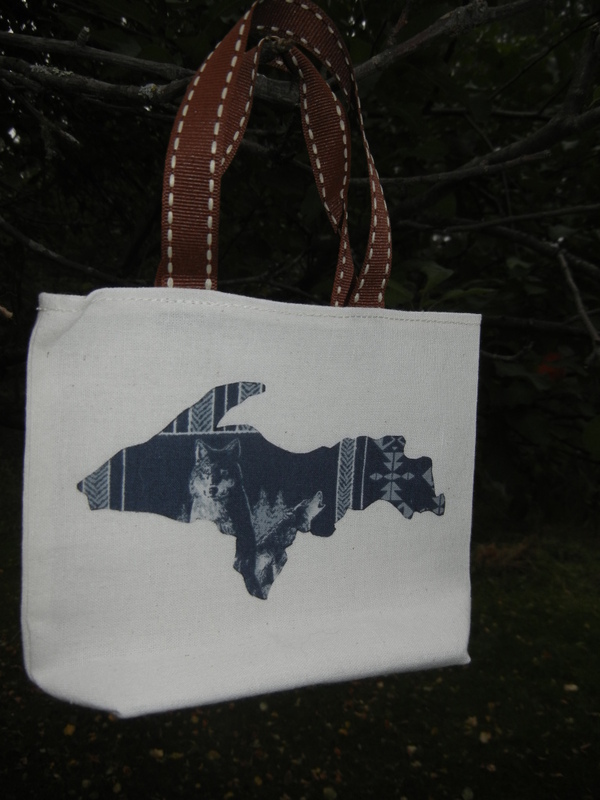 Meanwhile, here’s one of the prizes, a mini tote displaying a silhouette of the Michigan’s Upper Peninsula. This entry was posted in Fiction Readers, NEW RELEASES, PROMO, READERS, Romance Readers, Uncategorized, Writers and tagged Abandonment issues, animals in love stories, books set in Michigan, Celebrity baby, contemporary romance, Family relationships, forest rangers, love and the conservation officer, love and the law, love story, loving a actor, loving and action hero, romance novel set in Michigan, rural setting, Secret Baby Story, snowed in with the one you love, Unconditional love on October 19, 2014 by Barbara Raffin.